Probate is the court-supervised transfer of property from a deceased person (decedent) to his or her heirs and beneficiaries. The decedent’s will specifies who receives the decedent’s estate. If the decedent did not leave a will, state law will determine the transfer of the estate. The settling of an estate can be a difficult process, whether the decedent left a will or not. It is always a good idea to consult with experienced probate lawyer who can help you make sense of this process. David E. Simmons Attorney at Law recognizes that probate administration can be a fragile task that needs to be handled with great care. Allow us to give you the peace of mind that comes from having a skilled attorney working for you. Distributing the assets of an estate can be a challenging or even emotional process. As we work with you, our goal is to protect your best interests and those of your loved ones. Our probate administration offers a clear guidance throughout the process, as we settle your estate in the most equitable way possible. 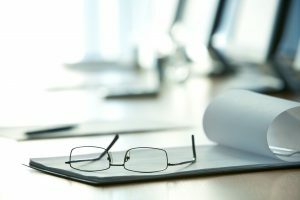 As your probate lawyer, you can expect us to handle all of the steps necessary in settling the estate, including: validating the will, making an inventory of assets, settling any outstanding debts, filing paperwork, and mediating disputes, among other duties. If you are looking for an experienced and straightforward probate attorney to help your family achieve peace of mind, contact David E. Simmons Attorney at Law today to schedule an appointment. We look forward to securing a bright future for you and your loved ones. David E. Simmons Attorney at Law provides trusted and effective estate planning representation for clients in Little Rock and the surrounding areas. Contact our office today at (501) 374-5417 to schedule a consultation with an experienced estate planning and probate lawyer.